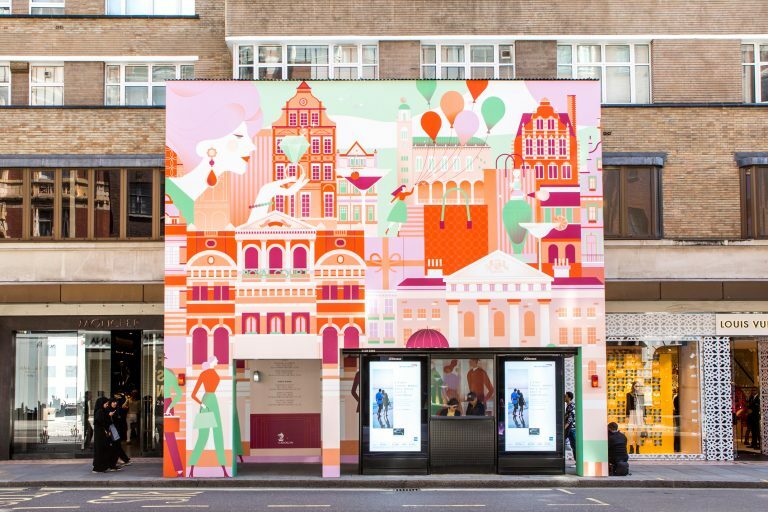 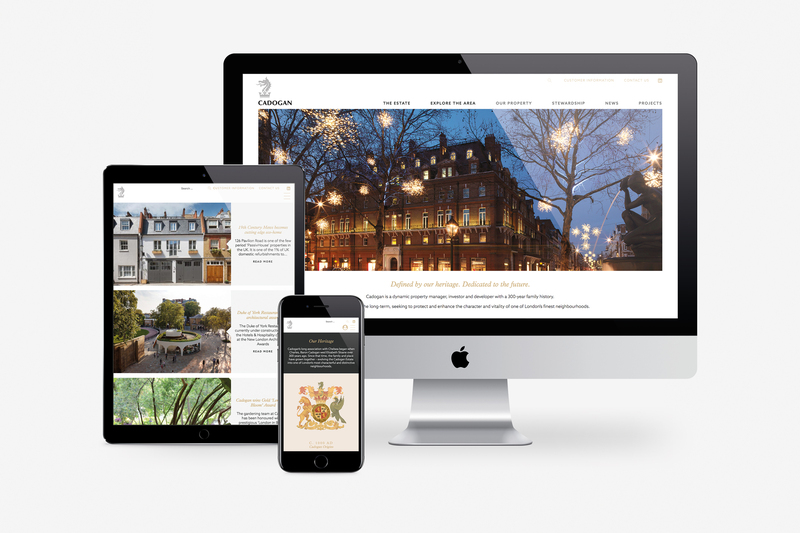 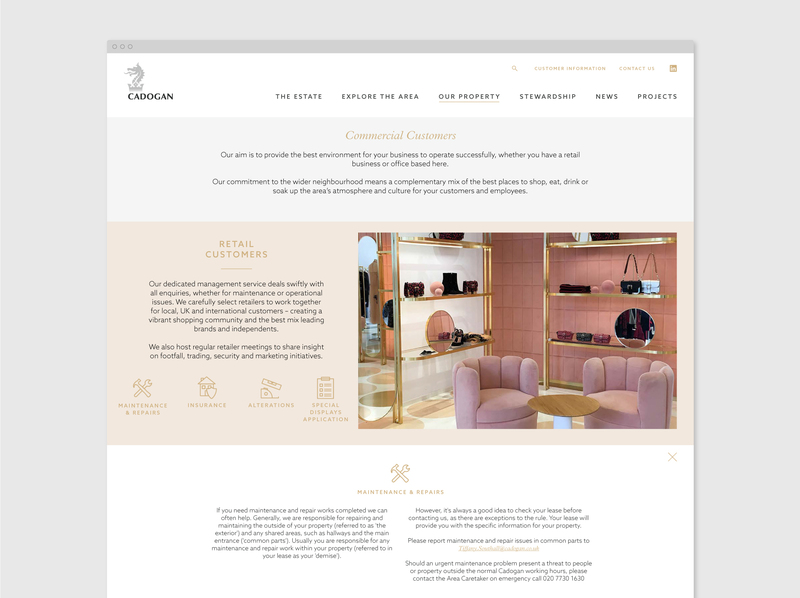 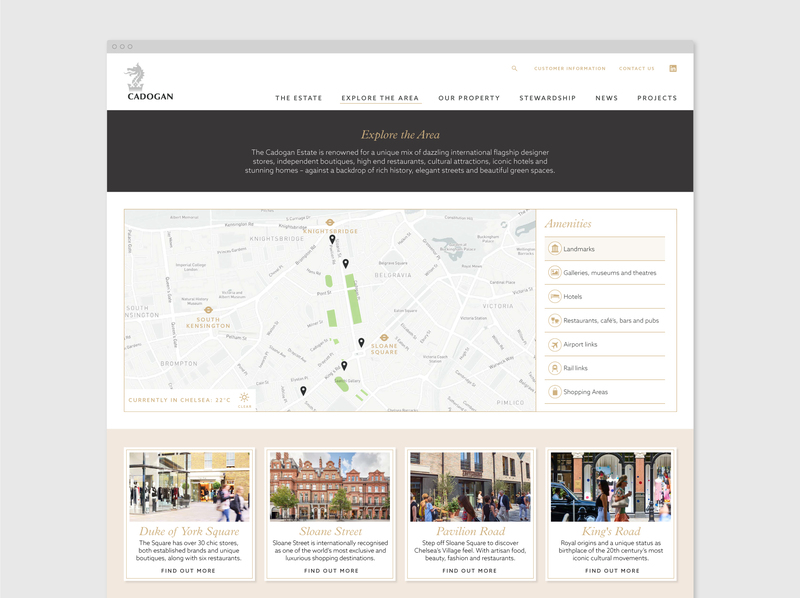 We developed the design principles for Cadogan’s new website which helps to position them as the leading manager, investor and developer of one of London’s finest neighbourhoods. 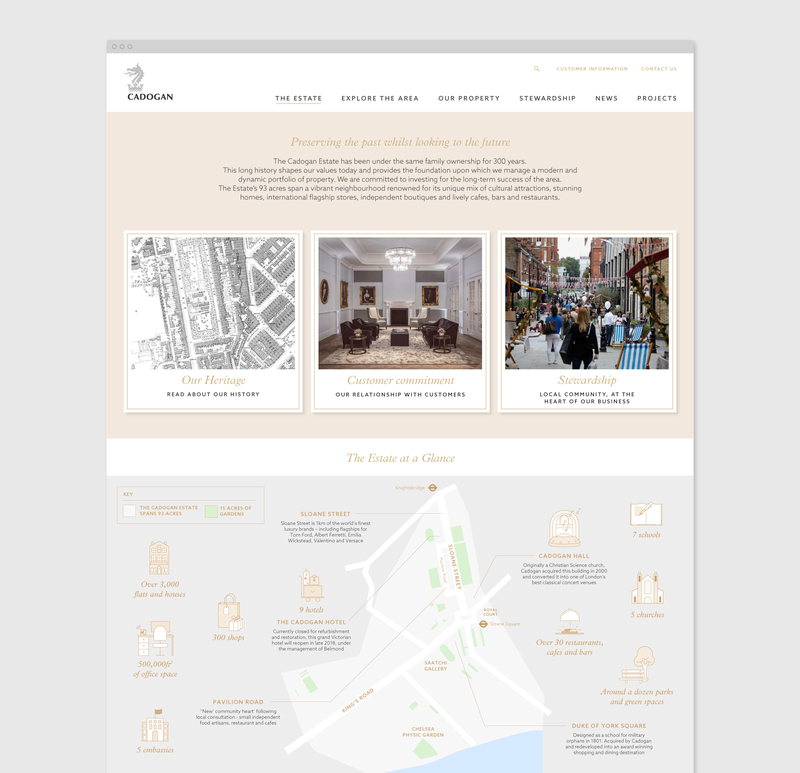 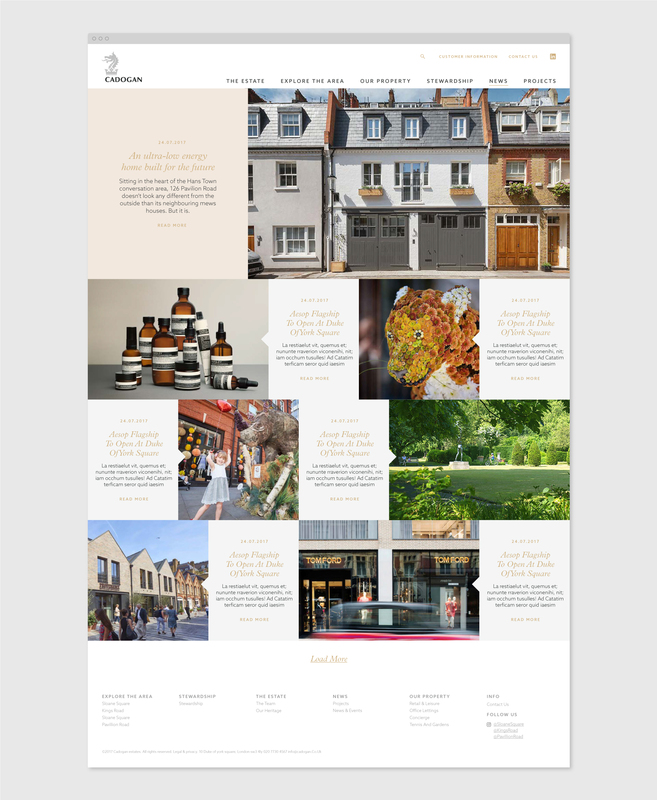 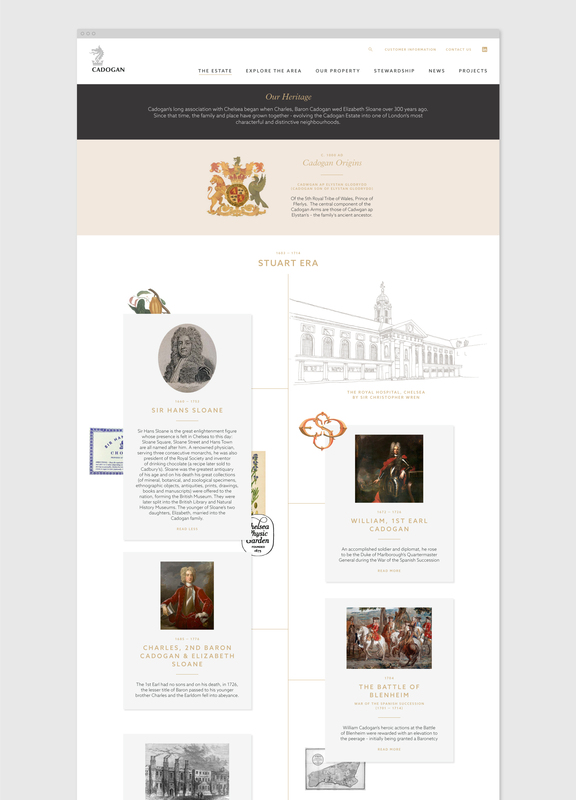 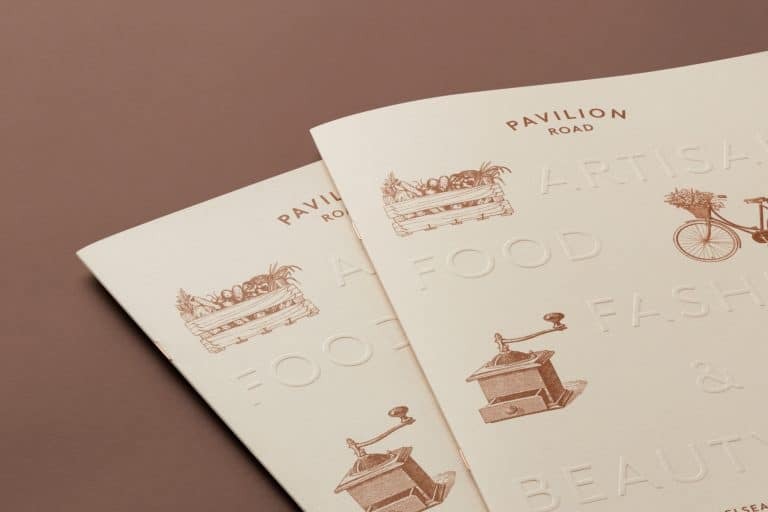 Building on the wireframes developed by Digital agency, Propeller we crafted a look and feel which reflected the Cadogan Estate’s heritage whilst remaining true to their modern and current luxury offering. 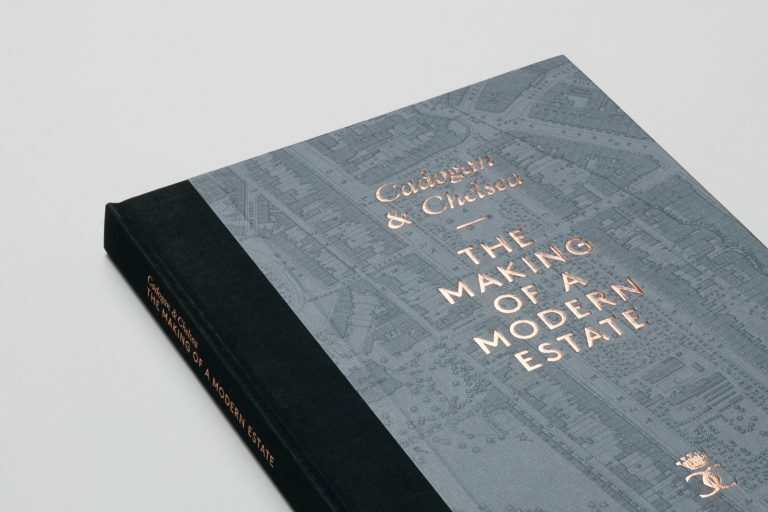 Working closely with Propeller on the development we bought Cadogan’s history to life with a visual timeline and highlighted different amenities in the area with an interactive map.